Go back and read my post on the previous page for a possible reason. Someone else suggested it, I just repeated it in the current thread. If there exists a video of the start of one of these races and one was to look for who is the last to cross the line, it could disprove the theory. A simple fix would be to ignore chip time and only count gun time. Chip time is stupid anyway. RE: Rojo says he might start a Kip Litton thread but only 1 and only 1 thread 1/7/2011 7:41PM - in reply to Great news folks! Way too much hate for Kip here. He grew up with the name Kip...cut him some slack. RE: Rojo says he might start a Kip Litton thread but only 1 and only 1 thread 1/7/2011 7:51PM - in reply to Great news folks! What's up with the stunt of starting 'dead last' from the gun time but using your chip time to claim the number of runners that you passed? I am curious because Amani Toomer did this at the NYC marathon. 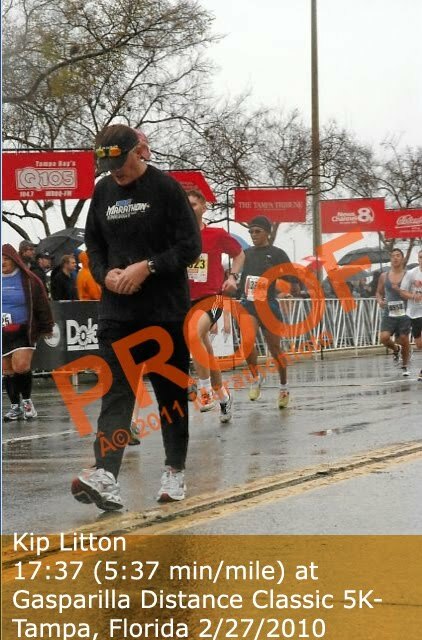 I am still laughing at this photo of him walking in his sweats while the other runners stride for the finish. 17:33, eh? The "connection", as you say should be obvious. When you step off the course you are less likely to be seen and "remembered" when you start in the back. Compare this with being on sub 3 the whole way with people running at the same pace for a longer period of time, hence being around the same people who will "remember". Not too hard to figure out what he did. Take a wrong turn on the Crim? I've run it also. That would be impossible to do. Translation: He stopped and rejoined to early. What he's doing is really not that hard, but it's wrong! Who else has been DQ'ed as many times as him? Seriously, you guys are runners and can't figure it out? Shocking? That's the good and bad of Wikipedia. *Anyone* can modify any part of any entry. Peer review is the only thing that keeps it all in check. Someone added that * on 1/4/11. Likely a letsrunner. Sure. He left at a certain point wearing certain clothing and then rejoined with different or the same clothes and finished. Genniioouusssssss man. Start in the back of the pack and you could do the same thing. 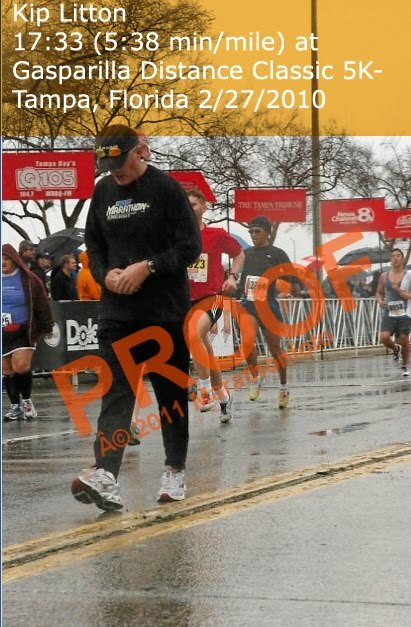 4 plus hour marathoners aren't going to remember you stopping or jogging off to take a leak, they will never see you again. The sub 3 hour marathoner never saw you in the start and only passed you or was passed by you. I've never run the Crim but this logic could be applied to most races. OOOOPPPPSSSSS, I took a wrong turn man. No, you cheated. Oscar Out. btw, he's a sociopath who feels no one can catch him, hence the ego and willingness to do it over and over with no remorse. In his mind, he actually did it. I'm convinced this dude has an accomplice--at least at some of these races. Has he been spotted starting a race yet (that has such a large discrepency between gun and chip time)? Dude of near equal ability starts and runs the 1st 1/2, no number (or number hidden) so no photos, peals off at a chain of porto-johns or 1st aid station where there's lot of commotion, people stopping etc. ; transfers shoes, chip, or number (for numbers w/ chip) to Kip. Kip runs a respectable 2nd half (or some given distance) and completes the course. I've just been sitting here racking my brain how this can be done so cleanly. Sure, on certain courses there could be additional course cutting, bike riding, car hoppping, but he has to have someone else aiding in this. Assuming the 2010 course was the same, it just so happens that the most likely place to trim off about 3.5-4miles would be AT THE HALF MARATHON. My guess would be cut from either mile 11 or 12 over to mile 16. Does anybody have familiarity with that race/area? In Kip's DEFENSE, all of the other finishers I see also are MISSING a half marathon split at PF CHang Arizona!! This has been done before and race directors (no names mentioned:)) look at it, damhik. Simple senario: A friend runs with a friend's chip to get him qualified for Boston or just a fast time. The problem is that all of the mats give the exact time within 1/100th of a second throughout the course. Then at the finish line they are close, but not exact. They review the photos and bingo, there is one guy at each mat at that time, not 2 runners with different chips. But at the finish, there is 2. Too easy but also too obvious to smart race directors who don't like cheaters. This cheater is smart enough to know that so he doesn't have someone do that, so IF confronted, he just claims the mat didn't recognize his chip because most times there is a photograph, not a constant video recording. When there has been, bam baby, he has no explanation and is DQ'ed. Yes, he could have an accomplice, you may be right, but I doubt it because he wouldn't want to risk loose lips. If you research a course before hand you can really get the lay of the land. Check out the Crim course that Einstein spoke of, super easy to cheat on. The more runners the easier it is. Look from about 6-8 miles. This guy is not smart so please stop overthinking this. He's just a cheater while the rest of us actually run the race. Ciao! RE: Rojo says he might start a Kip Litton thread but only 1 and only 1 thread 1/7/2011 10:39PM - in reply to Great news folks! yeah that desperate person is a joke. kip litton's scamming days are about to be numbered. he will be blacklisted. he may face legal ramifications. his scam is done!